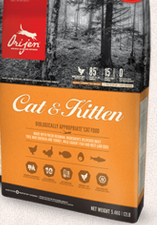 Orijen Cat & Kitten Canadian formula changed so I decided to make a review of this new formula. This new recipe contains 40% protein and 19% low-glycemic carbohydrates. Also, 2/3 of the meats are fresh, either refrigerated or flash-frozen with no preservatives. The other 1/3 is dehydrated fresh chicken, turkey, and fish. 2/3 of meats are fresh and refrigerated or raw flash-frozen, without preservatives. 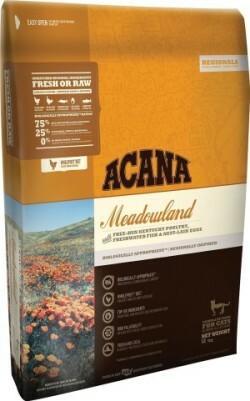 With a natural source of Glucosamine and Chondroitin supporting the cat joints. (3/5) Fresh chicken meat: Meats contains up to 84% water weight which takes out the protein value from the total formula. (3/5) Fresh turkey meat: Meats contains water in the muscles, adds weight to dry food before cooked which is less protein nutrition. (3/5) Fresh whole eggs: Eggs are a good source of protein, but whole eggs could include some shell (AAFCO accepts up to 6% ash on dry matter basis). (3/5) Fresh chicken liver: Good source of iron. It helps for red blood cell production and adds good flavor to the food, but too much liver can be toxic. (2/5) Fresh whole flounder: Good source of fatty acids. It adds some water on weight and includes all parts of fish. 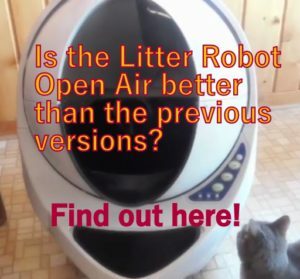 What are the Pros and Cons of Orijen Cat & Kitten New Canadian Formula? Healthy fatty acids, Omega 3 and 6. The formula eliminated chicken meal which represents a pure concentrated source of chicken and replaced it with whole eggs. Chicken meal is a better ingredient than whole eggs, especially considering that this new formula doesn’t state the maximum amount of Calcium in the total formula. Whole eggs add calcium and ash to the cat’s diet. 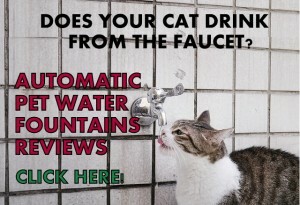 Too much calcium is not good for cats. Also, the old formula had boneless chicken and turkey and these ingredients have been replaced by “fresh meats” which may include bones. This also could add Calcium and Phosphorous as well. 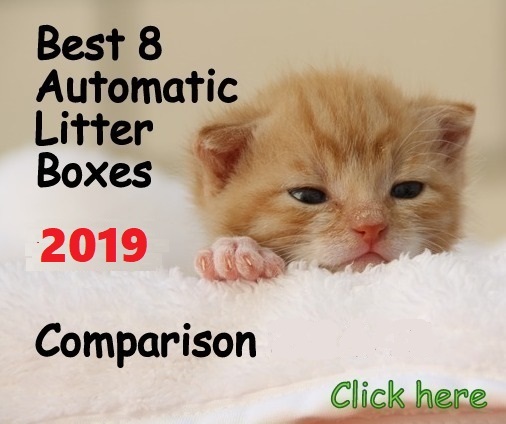 Finally, the formula decreased the amount of Taurine, which is an essential amino acid crucial for the cat’s vision, digestion and heart functions. 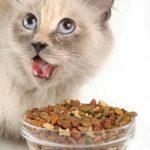 The 5 first ingredients represent the most of the cat food formula, but in order to rank the actual quantity of protein, I decided to consider the first 3 ingredients for a more accurate rate. The average rating based on the first 3 ingredients is 3 Stars which is an average number of a dry cat food. 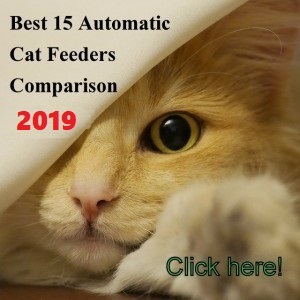 Very Important: You need to feed your cat wet canned food and provide a fresh source of water available at all times when feeding your pet this cat food. In summary, the new formula reduced proteins, omega-3, Taurine, and DHA, this is not good. A good change was reducing the low-glycemic carbs from 20% to 19%. In my opinion, due to the change from boneless meats to “fresh meats” which may include bones and the addition of whole eggs, the formula increased the amount of Calcium and Phosphorus. 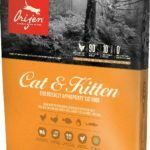 The new Orijen formula doesn’t guarantee a maximum amount of minerals you are feeding your cat and it’s always good to know how much minerals you are feeding your pet. Too many minerals could cause urinary issues. Due to these facts, in my opinion, the changes to the new formula did not point to the right direction. 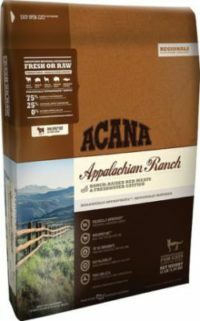 Though this formula has a lower quality in comparison to the original, it’s still a good cat food, it’s a protein-based recipe and informing all the 11 essential amino-acids cats need. Note: The new formula is the one that shows: 85% 15% 0% on the package. 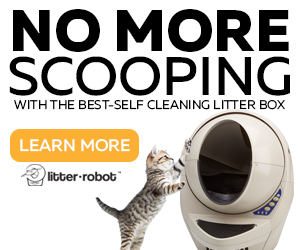 Hello Joseph, so far I have only reviewed Orijen Cat & Kitten formulas, American and Canadian. My cats loved the cat and kitten Orijen produced in Canada but they don’t like the cat and kitten orijen produced in Kentucky. Can you still order this product from Canada? Hello Brenda, you can get the Canadian formula here. Unfortunately, the product is only for 340 gr. 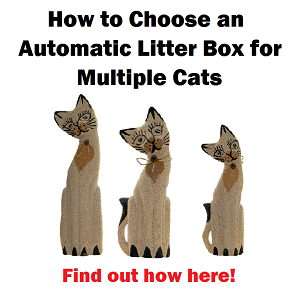 Trying to find a good high protein, grain free dry cat food to wean my new adopted kittens onto, as well as a new high protein, grain free wet food to add to their diet once they are totally on the really good dry stuff. 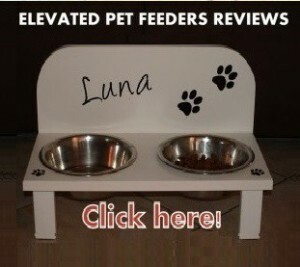 Just curious, what do you feed your cats? Also, do you have any recommendations? I was really liking the Orijen after researching so many other crappy brands. Hi Darcey, currently I am feeding my cat Petcurean GO Chicken mixed with Wild Calling Turkey (you can find a full review of both on my page). As wet food, I feed my cat Wellness Healthy Indulgence Chicken & Turkey in Savory Sauce (morsels with gravy). She is lean and doing pretty good with it. Hope that helps!